WP Generic theme is a free generic wordpress theme ideal for business, corporate, portfolio, blog, agency, e-commerce, freelancer and any other modern and creative website with color options in customizer. WP Generic is a generic WordPress multipurpose theme, ideal for business, corporate, portfolio, blog, agency, eCommerce, freelancer, and any other modern and creative website. 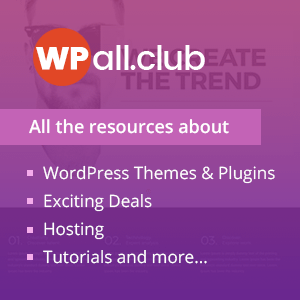 This neatly coded WP theme is fully built on Customizer tools. It comes with tons of easy customization options. The theme features multiple web layout (boxed and full width layout), theme color options, multiple page/post layouts, multiple header layouts and much more. This elegant WordPress theme has highly configurable homepage sections like home slider, about us section to give brief intro about the company, service section to showcase the services offered by the company, awesome portfolio sections, features section, team section, CTA,, client logo showcase, testimonials and widgetized footer area. The theme is cross browser compatible, SEO optimized and fully responsive. Fully Customizer Based Fully built on Customizer Tool. User Friendly Customizer options to built your website easier and faster. Theme Color Choose you own color to set the theme color of your site. Hey Buddy!, I found this information for you: "WP Generic – Best Multipurpose WordPress Theme". Here is the website link: https://8degreethemes.com/wordpress-themes/wp-generic/. Thank you.